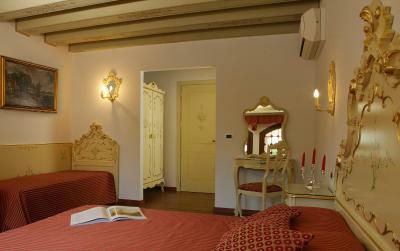 Lock in a great price for Hotel La Residenza – rated 8.7 by recent guests! Location was fantastic. The receptionists are all knowledgeable and helpful. 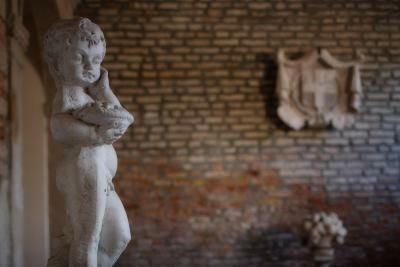 Loved the 16th century building. So beautiful. 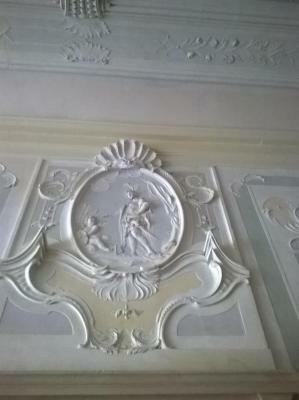 I loved all the plaster work on the ceiling. The piazza is quiet and fills with local Italians and their children in the evening rather than mobs of tourists. The Castello neighborhood in general seems a quiet oasis from mobs of tourists. Just a few trickling through the quiet streets. Close to the hotel in a quiet piazza is Trattoria Ai. Jonny which is fantastic with the most friendly waiters. 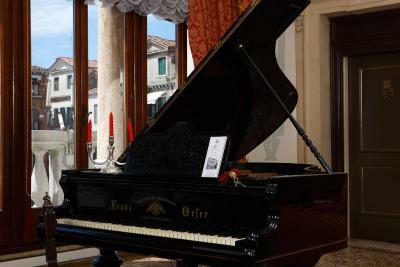 Beautiful venetian style house, very comfortable, great location and great staff. They even came in earlier on our day of departure to fix us breakfast before our flight to Rome. Excellent service. Felt authentic. 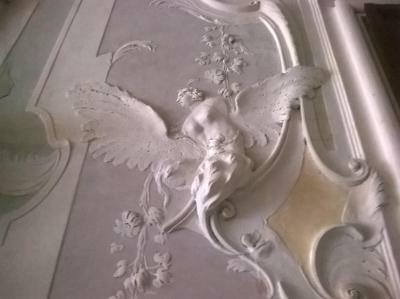 Location and decor were wonderful...old school palace. Just off lagoon. Easy/safe 3 block walk from St. Marks but far enough away to not feel touristy. On a lovely quiet courtyard which had a cafe and a restaurant. Felt very safe as a female traveling alone. Even though one has to ring doorbell to access, someone was always there even when I came back very late from my conference. The staff was nice and there was a nice little square outside. Good location. Reasonable price. Nice old building. 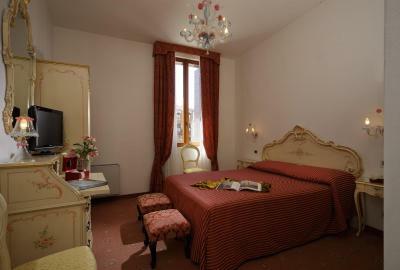 Quite location and convenient to San Marco Square. 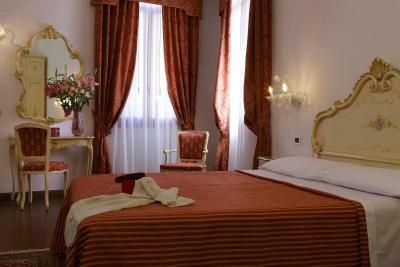 convenient location, beautiful palazzo furnishings. My room was on the reception floor, which was convenient. Hotel La Residenza This rating is a reflection of how the property compares to the industry standard when it comes to price, facilities and services available. It's based on a self-evaluation by the property. Use this rating to help choose your stay! 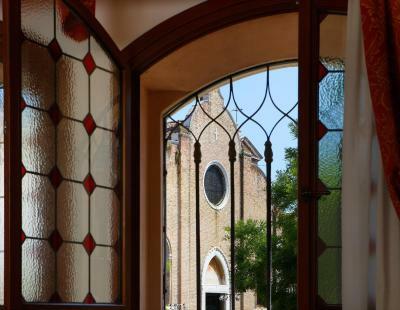 One of our top picks in Venice.In a 15th-century building behind the Church of San Giovanni in Bragora, Hotel La Residenza features rooms with private bathrooms with 18th-century Venetian décor, and free Wi-Fi. 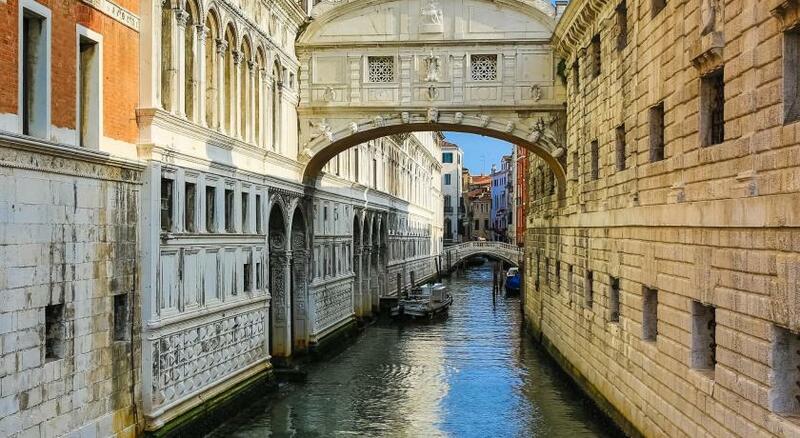 Venice’s Biennale Exhibition Center is 650 feet away. 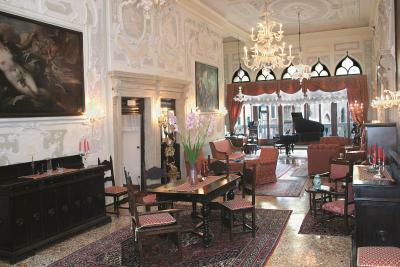 In what once was the residence of the Gritti noble family, this hotel features a lounge with original stuccoes, and renovated tapestries. 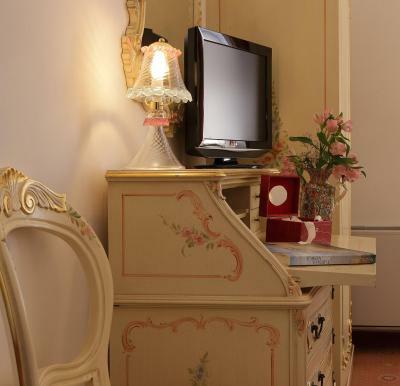 The air-conditioned rooms come equipped with a satellite TV, and have parquet floors and a minibar. A sweet and savory breakfast is served in the breakfast room with glass chandeliers. La Residenza Hotel is in the Castello district of Venice, less than half a mile from St. Mark’s Square. 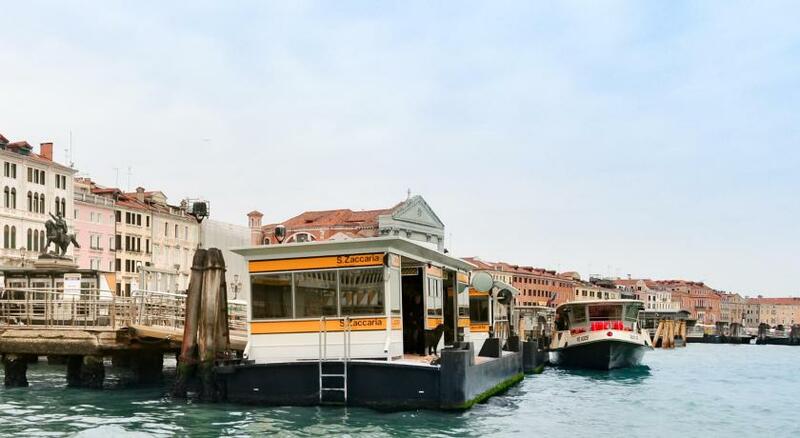 The closest Vaporetto water bus stop is a 2-minute walk away. 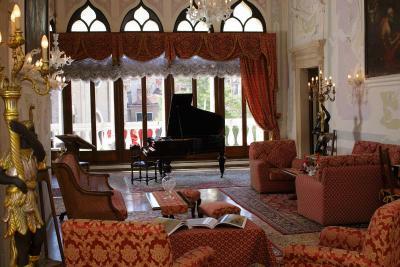 When would you like to stay at Hotel La Residenza? 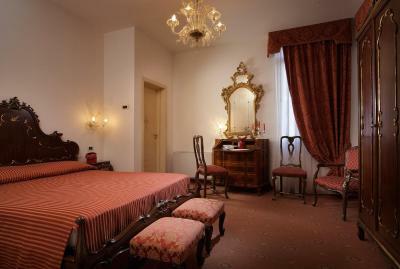 With 18th-century Venetian décor and parquet floors, this room with a private bathroom features free Wi-Fi, air conditioning, and a satellite TV. 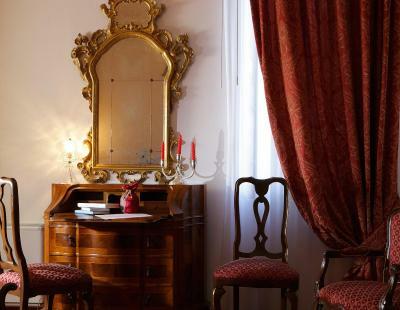 With 18th-century Venetian décor and parquet floors, this compact room with a private bathroom includes free Wi-Fi, air conditioning, and a satellite TV. 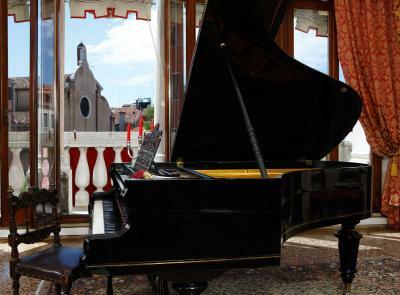 House Rules Hotel La Residenza takes special requests – add in the next step! All children under 6 years are charged EUR 40 per night for extra beds. 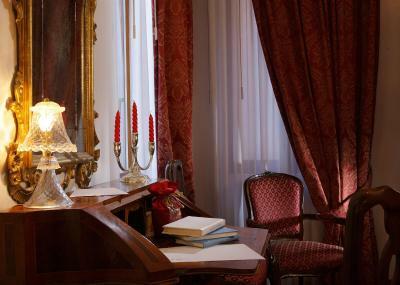 Hotel La Residenza accepts these cards and reserves the right to temporarily hold an amount prior to arrival. Please inform Hotel La Residenza of your expected arrival time in advance. You can use the Special Requests box when booking, or contact the property directly using the contact details in your confirmation. 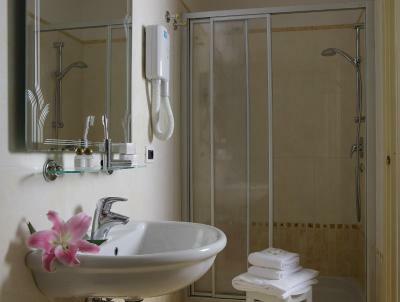 We loved the staff, the room was very clean and the location was incredible. We really liked the style. This old-school royal style was very nice. Also the staff was very friendly and nice. The apartment was super clean and good located. We really enjoyed our stay in this hotel! The breakfast was not wonderful, but then Italian breakfasts are not much to our taste. 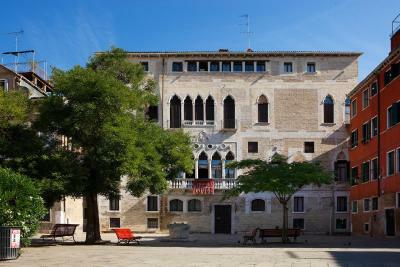 The location could not have been better, a relatively quiet square, but easy walking distance from St Mark's. 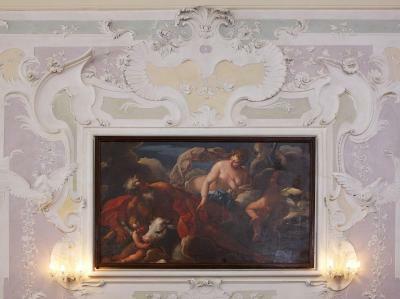 The buíding with over 500 years of history was great, atmosphere, staff always focused on our needs, breakfast in a beautiful huge hall with nice wall paintings, room was always very clean. In every corner of the building was everything clean and nice. We will definitely come back. Our room was a bit dark and there could be a bit more variety at the breakfast buffet but all in all we enjoyed our stay very much and would happily come again. 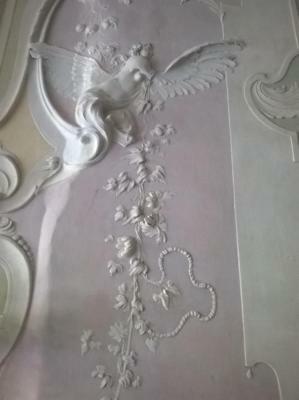 Beautiful main hall with decorations dating back to the 18th century. The cold reception by one member of staff. Perfect location. Lovely clean historic building. 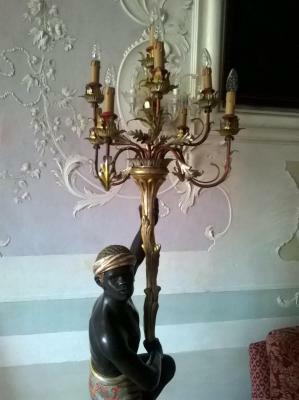 Friendly lady on reception and night porter. Elderly man on reception grumpy, rather rude if the doorbell rang and watched me struggle with my case down several stairs. Breakfast pleasant but limited. The room 235 was quite small (although it had a lovely view of several courtyards, gardens, and the San Giorgio dei Greci bellfry) and there was no lift. No problem for us. In Venice, this has to be expected. 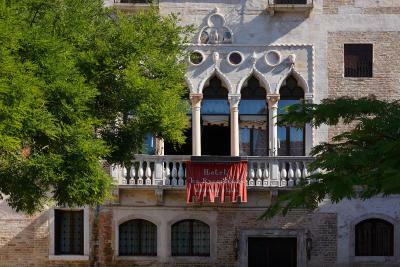 The location is excellent: 50 m from Riva degli Schiavoni and two vaporetto stops (Arsenale and San Marco - San Zaccaria which means that the line No. 1 stops there - direct connection with the Grand Canal and the railway station). The small square is quiet, although there are 3 restaurants/bars one of which plays music in the evening. You can find a pastry shop around the corner, some other shops, a supermarket near Scuola di San Giorgio degli Schiavoni. The Scuola with the St. George cycle of Carpaccio is a true jewel. 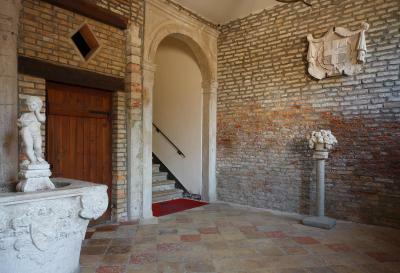 In the San Giorgio di Bragora church, Vivaldi was baptized. 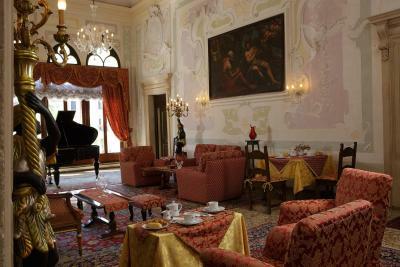 The building itself is a gothic palazzo (Palazzo Gritti Badoer), the portego where the reception is situated and the breakfast is served is full of rococo stuccoes and paintings by Venetian masters. From the balcony you can overview the square. 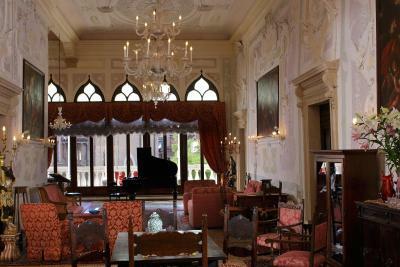 The atmosphere is calm, idyllic, especially when the sun is shining through the large gothic windows into the salon. The breakfast was above average given the Italian standards (mortadella, cheese, hard boiled eggs... not just the sweet pastries as usual in Italy). The owner and the lady receptionist were fantastic. Friendly, generous. We could check-in immediately after our arrival in the morning because the room was free. At the day of our departure we could leave the luggage till the evening and the owner trusted us with keys to the lobby. Recommended for those seeling calm, intimate accomodation. More a 3* than a 2*, really. There was nothing I did not like that the Hotel could help with, it is a beautiful building in a City that excels all expectations on every visit. 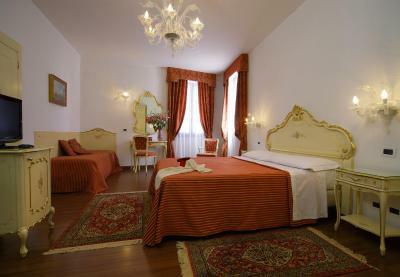 The premises were clean and comfortable, the staff friendly and the Castello situation of the Hotel good for my requirements. Excellent location, breakfast was adequate hotel had lots of character. 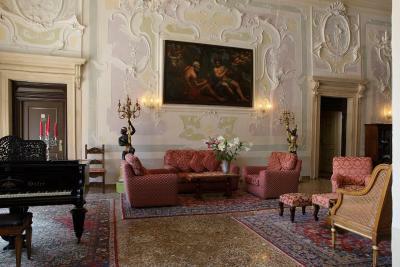 Beautiful, ancient palazzo with modern facilities. Beds very comfy. Staff could not have been more helpful. 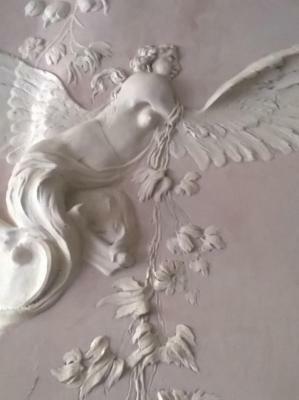 Wonderful stay. We'll be back! Had a minor wifi problem in our first day but then all were good. 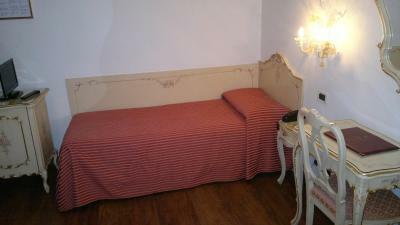 Location is great, 3-4 minutes to walk San Marco. Also the small square which hotel is located was very quite and calm. There are mini market and pizza shop just in the back street as well.